Jean Davison will read from her memoir The Dark Threads and talk about her experiences as a patient at High Royds psychiatric hospital in the 1970s. Electric Shock Treatment and drugs reduced her to a zombie-like state for five years, before she managed to turn her life around. The talk will also include her experiences of writing the book and getting published. A question/discussion session will follow, and then the evening will be rounded off with tea/coffee and biscuits. 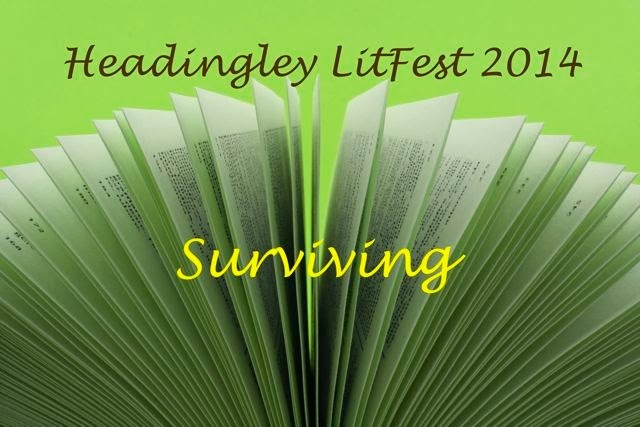 This entry was posted in Books, Oxfam Bookshop and tagged Headingley Literature Festival, memoir, mental health, Oxfam Bookshop, Talk, The Dark Threads by Jean Davison. Bookmark the permalink. Thanks for letting me know. I will definitely see if I can get there. I hope it goes really well- I should imagine very tough, but also worthwhile in terms of awareness raising and closure:) I’ve re blogged it to promote it for you. Thank you Vanessa, I really appreciate this. I had difficulty finding Oxfam Bookshop on my preliminary visit. There is another Oxfam Shop which I got to first, but the Bookshop is only a few doors away.